When dwellers arrived at the scene to shift the injured and collect dead bodies, the US-led forces dropped four more bombs on us, Jamil said while giving an eyewitness account. NANGARHAR, July 06: A girl who was wounded in coalition forces bombardment in Haska Mina district of eastern Nangarhar province. JALALABAD: A bride was among 23 people killed as US-led coalition forces bombarded a wedding party in the eastern Nangarhar province Sunday morning, officials and residents alleged. Twenty-two people died on the spot as a result of the latest imprecise air raid that came hours after President Karzai ordered a probe into the alleged killing of more than a dozen residents in a US airstrike on a remote village in the neighbouring Nuristan province. One of the injured wedding guests brought to the Jalalabad Civil Hospital told Pajhwok Afghan News coalition planes dropped a couple of bombs on the procession on its way back to the grooms residence in Haska Mena district. A number of people were killed and wounded. Scared survivors ran pell-mell. When dwellers arrived at the scene to shift the injured and collect dead bodies, the US-led forces dropped four more bombs on us, Jamil said while giving an eyewitness account. Only six of about 40 processionists escaped unscathed in the airstrikes, revealed another man wounded in the second incident of inaccurate coalition bombardment in three days. All but four of the fatalities were women and children, explained Shahikhel, who disclosed the bride and two of her female relatives were among the victims. District chief Haji Hamesh Gul, confirming the brides death, said the wedding party was pounded in the Kamali village at 6.00am. Several members of the marriage party --- on its way to Ghaz area --- perished in the coalition strike, Gul continued. One man succumbed to his injuries in hospital, driving up the number of dead to 23, he elaborated, saying around 200 area dwellers had gathered to pull out the victims buried under heaps of dust. An Afghan government investigation has concluded that 45 women and children and two men were killed when a US aircraft bombed a wedding party in eastern Afghanistan last Sunday, July 6. The nine-man investigation team appointed by the Afghan President, Hamid Karzai, found that only civilians were hit during the airstrike. Gul believed the airstrike might be linked to an overnight militant assault on a police checkpoint in the district. Six national and international troops were killed in the assault, claimed a Taliban spokesman. 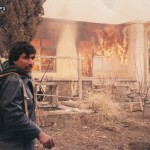 Coalition troops bombed innocent civilians in retaliation for the casualties inflicted on them by the fighters, Zabihullah Mujahid said in a chat with this news agency over the telephone from an undisclosed location. Nangarhar Provincial Councils deputy head Maulvi Abdul Aziz Kherkhwa, who described the airstrike as an act of deliberate targetting of defenceless residents, warned eventually people would be up in arms if massacres of the masses persisted. 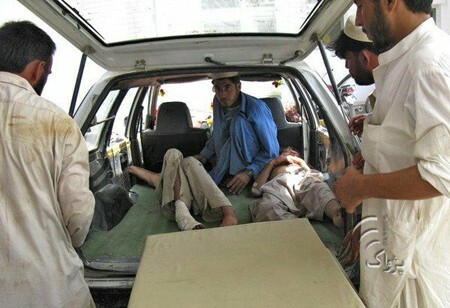 A doctor at the Nangarhar Civil Hospital confirmed receiving three people with shrapnel injuries. However, Dr. Yaqub Shinwari said, their injuries were not life-threatening. Soon after the bombardment, local officials put the number of the wounded at eight. For its part, the coalition said several militants were eliminated in precision airstrikes in the province, bordering Pakistan's troubled tribal region of Khyber. In a statement, the US military said intelligence revealed a large group of insurgents operating in the Deh Bala district. Coalition troops identified the fighters in a mountainous region and used precision airstrikes to kill them, the press release added. On Saturday, President Karzai asked Defence and Interior Ministries as well as Nuristan provincial authorities to form a commission for investigating an airstrike that killed several civilians in the Waigal district of Nuristan. Provincial officials alleged US warplanes struck two vehicles carrying villagers on suspicion. But the US military insisted coalition planes hit militant mortar teams.